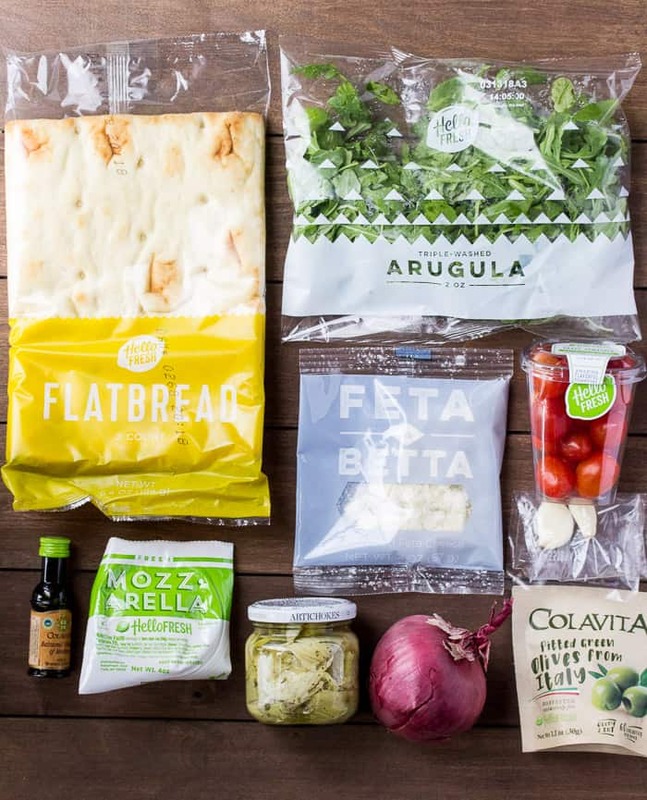 In this March 2018 Hello Fresh Review, things didn’t go quite as planned, but the food was delicious! 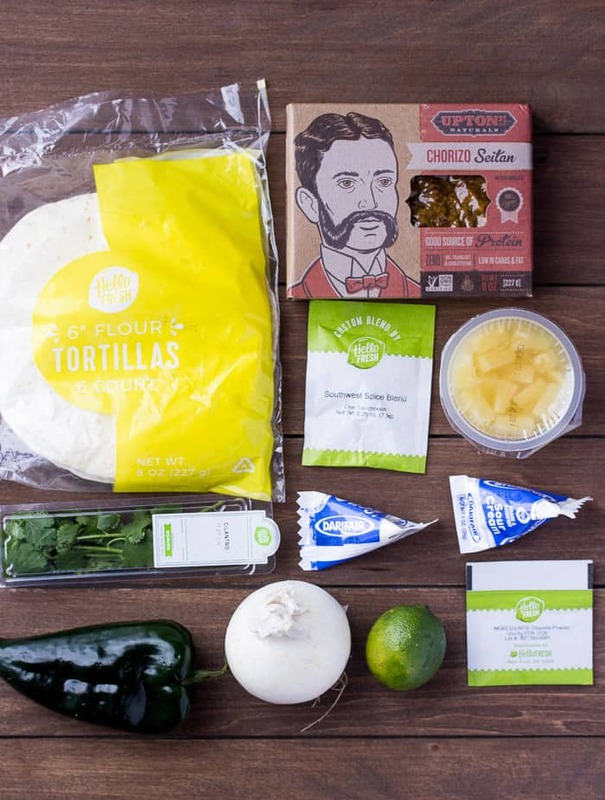 Hello Fresh is a really popular meal kit subscription. It’s kind of surprising, even to me, that I’m just now getting around to trying it out! This month I’m following a vegetarian diet. Because I’m a bit picky about certain foods that often show up in vegetarian meals (mushrooms and onions, in particular), I had to shop around to see which boxes had the best meals for me. 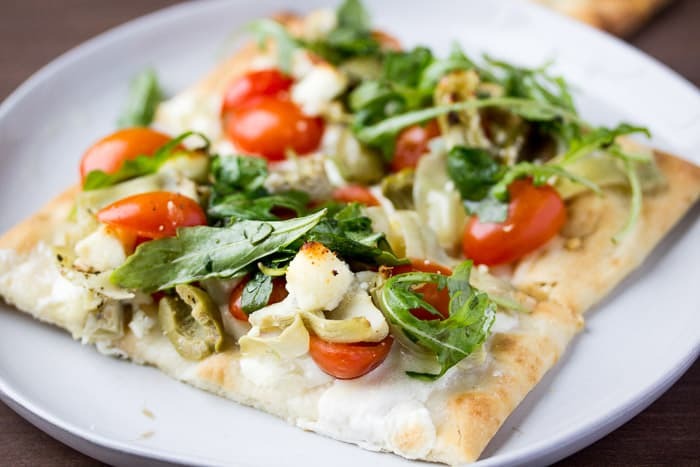 The vegetarian Hello Fresh menu offers 3 choices each week. I needed to make sure I liked all three before ordering. So, things didn’t exactly go as planned with my first Hello Fresh order. I wanted to tell you about these issues first, in case you decide you want to order so that the same problems don’t happen to you. 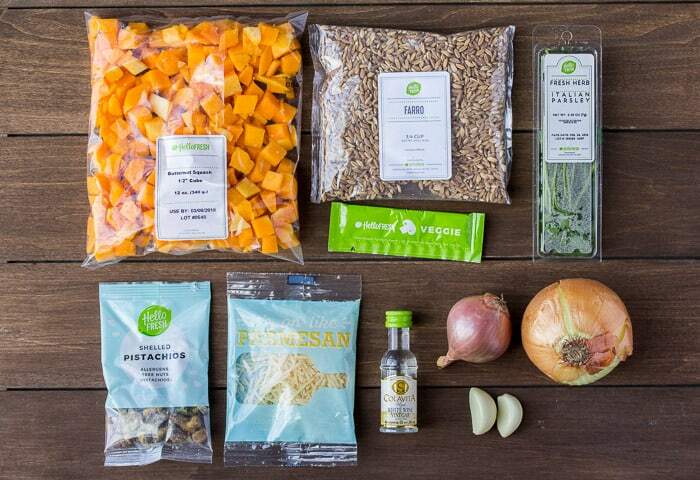 I actually wanted to order vegetarian Hello Fresh meals for the week of March 12, so I signed up the week before to make sure I didn’t miss it. With any other subscription like this, I have been able to skip any week, including the first one. But, with Hello Fresh, I was automatically locked into the week of March 5 with no way to “skip” that week, change my menu, or even change the delivery date (although I may have missed an option to change the date). The only option I had was to cancel, but I opted not to do that. My order was supposed to arrive on Saturday. Usually I can only choose Tuesday, Wednesday, or Thursday for delivery, so I thought this was strange. When I got the email on Friday saying my box was shipped and would arrive the next day, I immediately checked the tracking. FedEx had it in their system to arrive on Tuesday. 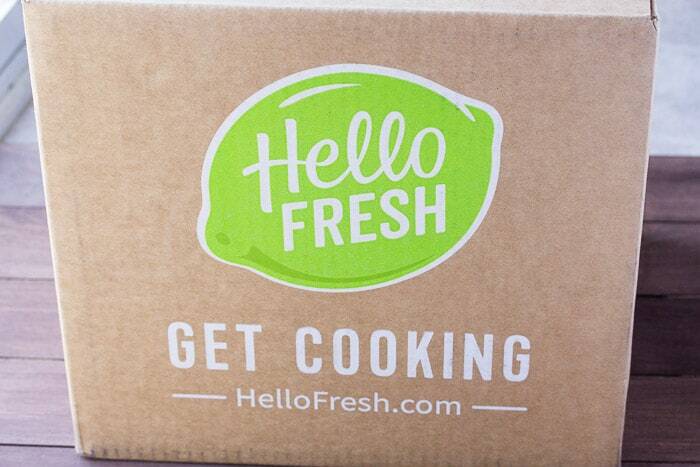 I reached out to Hello Fresh right away but was told to wait until my box arrived and they could file a report then. My box arrived Monday between 4-5pm. The ice was still half frozen and the food was still cold so I felt comfortable eating it, so long as it held up until I got to it all. I reached out to Hello Fresh again to let them know how late the box was. I did not mention that I would be writing a Hello Fresh review so that I could get an authentic response. Customer service responded to me with, “Thanks for letting us know, we’ll pass this information along so that this doesn’t happen again.” That’s literally all I got back from them. When something similar happened with Home Chef (due to a winter storm completely out of their control), they credited my account the entire purchase price of the box. I have since updated my Hello Fresh account to deliver on Tuesdays, which is what I usually prefer. While I’m less than impressed with the customer service I’ve received at Hello Fresh, the recipes did all turn out pretty good! This was the recipe that I was looking forward to the most. 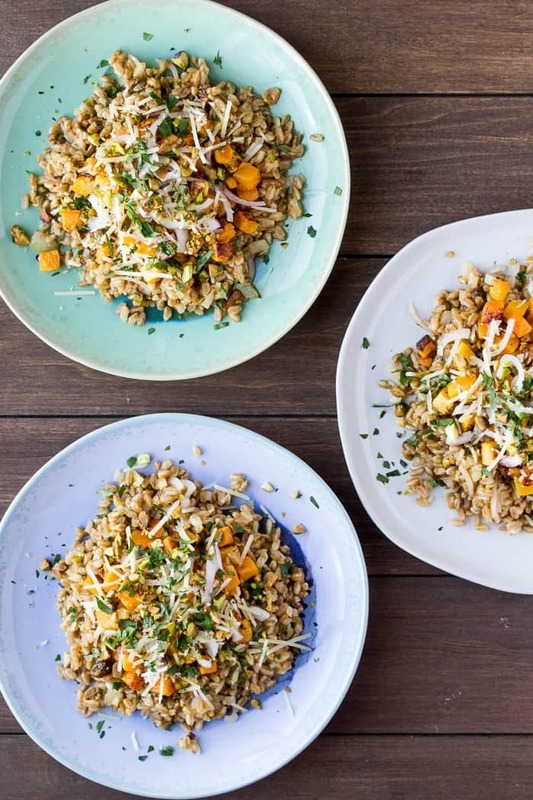 I love butternut squash and pistachios. I’ve had farro before, but couldn’t really remember what it tasted like. It’s basically a chewy wheat-like grain. I loved it. 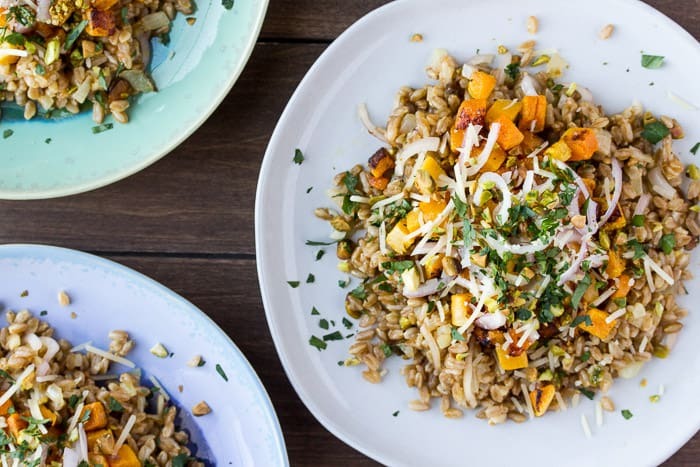 The butternut squash was already diced which made this recipe super easy to make! I don’t care for onions, so I only used half of what they sent. I could still taste it in every bite so I’m really glad I didn’t use the whole thing. I don’t mind shallots (weird, I know) and I loved them pickled! The pistachios added a nice crunch! I was able to divide this recipe into 2 servings. I wasn’t sure how this recipe was going to go over, so I was pleasantly surprised by how good it was! This time, I just left the red onion off completely. I usually try to make these recipes exactly like written, but I just don’t like red onion and didn’t feel the other flavors would make the onion less noticeable. Again, this recipe involved very little prep work. It was ready in under 30 minutes! I got the standard 2 servings from this recipe. 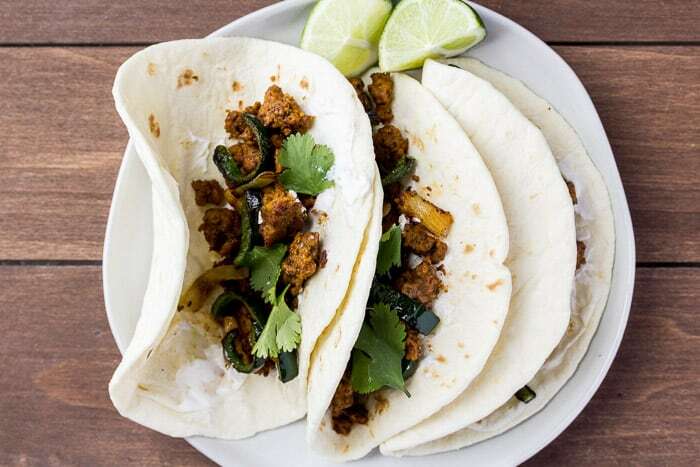 This recipe uses chorizo veggie crumbles, but comes with a Southwest spice blend and chipotle powder to add to it for even more flavor. I was not interested in this recipe at all. I’ve had vegetarian chorizo before and just find it to be okay, nothing special. The addition of the spices did help with the flavor, though. Again, this recipe uses onion and my other not-so-favorite vegetable, peppers. I used the whole pepper, but only a small amount of the onion. To get 6 tacos, I had to spread the chorizo out pretty thin on each one and then topped them with only about 3-4 thin strips of the pepper and very minimal onion. I ate 3 tacos and was plenty full (mostly from the tortillas). I did like the little sweet bursts of pineapple, but I just didn’t care for this recipe overall. I’m still scheduled to receive a box from Hello Fresh next week. I’m going to see how that goes before I decide if I’m going to order from them again. I’m hopeful that the delivery issue this week was just a one-time fluke. 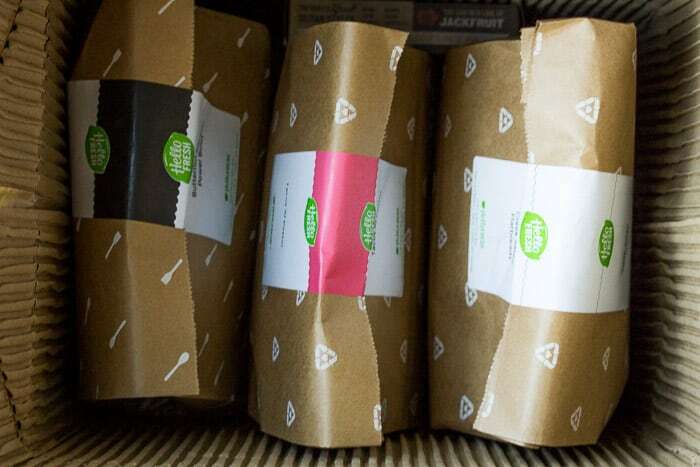 I will be posting another Hello Fresh review and my decision as to whether or not I’ll order again then. 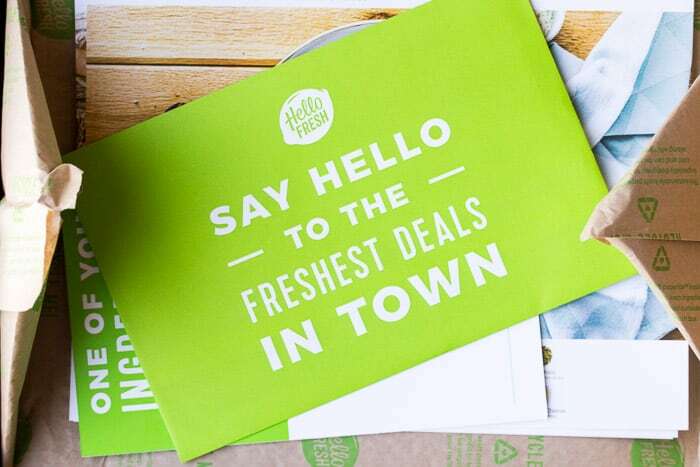 If you want to give Hello Fresh a try for yourself, you can save $30 off of your first order by clicking HERE!